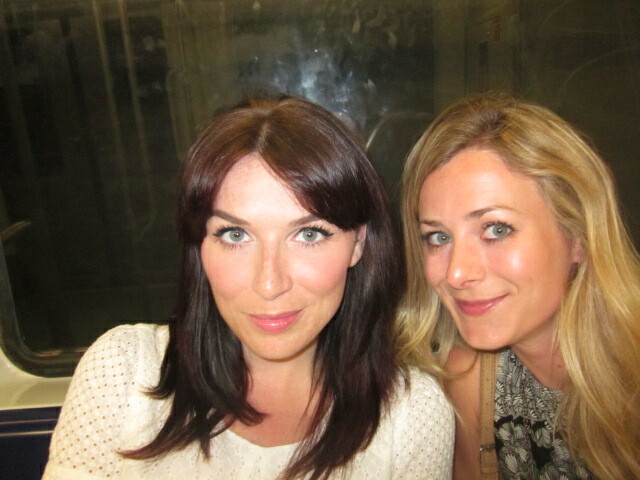 After our Italian adventure late last year, I couldn’t wait to take another trip with my best friend Beckie. We toyed with the idea of heading to Slovenia after I saw a deal on Travelzoo, but when Beckie suggested Barcelona, I was instantly swayed. After enjoying a weekend break early last year in the Spanish capital, I knew it would be the perfect mixture of fun, culture and perhaps most importantly, good food – the ideal place for a girly break! I’ve become known amongst friends and family as being the go-to-girl for booking cheap holiday deals and so flight and hotel bookings were left to me, which suited me just fine! I booked our flights through Easyjet and found a hotel not too far from the Sagrada Familia through booking.com. All in all, the holiday came to no more than £350 for a five day break, not bad for a last minute deal in the height of summer! Barely two hours after we departed London, we landed on Spanish soil and set about making our way to the hotel. Keeping on the cheap & cheerful theme, we took the shuttle bus from the airport to ‘Universitat’ then hopped on the metro with our newly purchased 5-day travel cards. Thankfully our luck did a quick u-turn and as we checked in at the hotel, a lovely Kiwi couple offered us their two-day tour bus passes. They’d already done a day of sight-seeing and decided to spend the next day resting on the beach, lucky us! 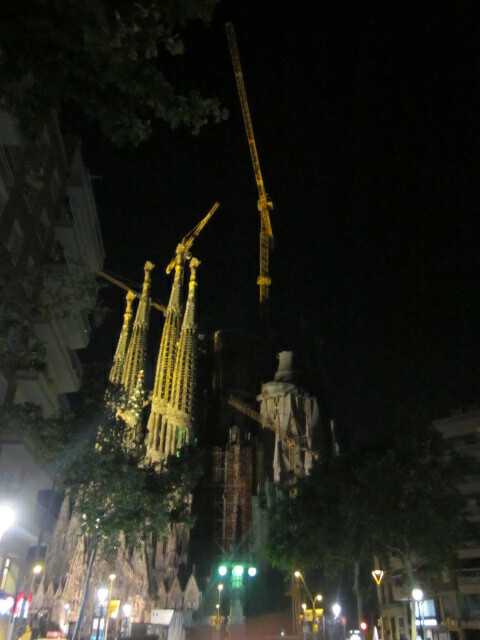 That evening we had dinner right in tourist central – overlooking the Sagrada Familia (not recommended!) But, it did the job and soon we were settled in bed, ready to begin our adventure the next day. After a leisurely breakfast at the hotel (which turned into a daily ritual of spending around 2 hours nattering away instead of heading out to explore, but hey, that’s what holidays are for), we walked to Avenue Diagonal and hopped on the tour bus by ‘Gloria’ Station. 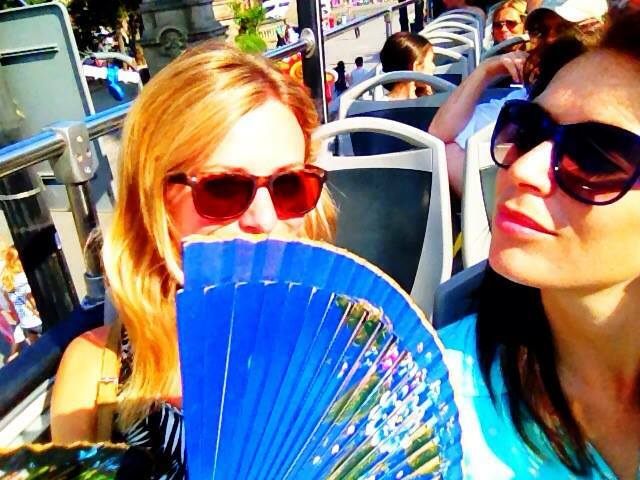 By this point we were already a little sticky and hot so as soon as we jumped off the bus at our first destination, Park Guell, we headed into the nearest shop and purchased some rather fetching fans. Park Guell was stunning; mosaic tiles covering every inch of the wave-edged wall and the beautiful ‘gingerbread houses’, as we fondly nicknamed them, were incredible. We spent a couple of hours wandering around the grounds, stopping to listen to a local man playing a spell-bounding tune on what can only be described as a large metal tin bowl and stopping at every market stall to look at the blue-stone jewellery. 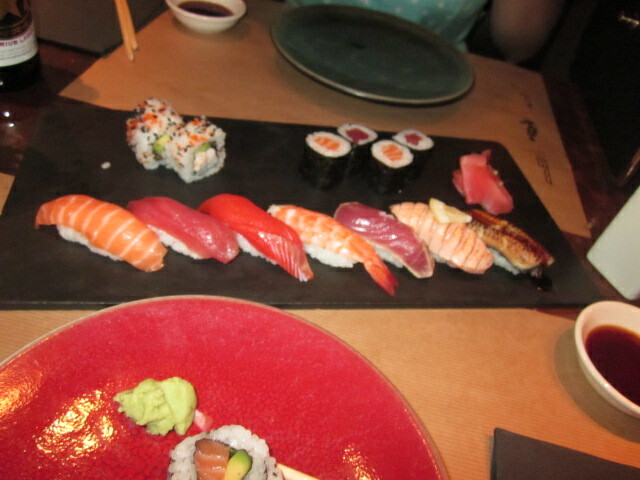 By the time we were done, it was already 3pm and for some reason we were craving sushi – not exactly the easiest cuisine to find in Barcelona! Yet after a long search, we finally stumbled across Nomo close to the Passeig de Gracia Metro line and the stunning Casa Mila (Or La Pedrera). After a delicious lunch we jumped back on the tour bus until we reached Catalunya metro station, aka the top of famous Las Ramblas. Despite the fact we’d just eaten, we headed to La Boqueria – the large outdoor food market to check out the options for tomorrow’s lunch. 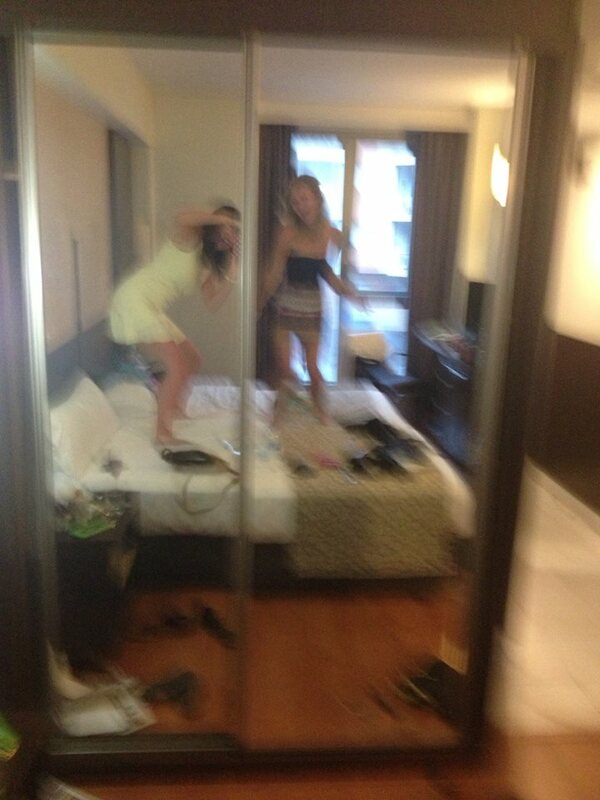 Salsa dancing, sangria drinking, early nights? Now, as this was another of my impromptu not-really-budgeted-for trips, our spending money was a little tight. 50 euros a day may sound like a lot but when you’re in a capital city in peak season, it doesn’t go very far! Once we’d eaten out for lunch and dinner each day, there was just a little left over for the inevitable ice creams, sangrias and my own personal weakness, colourful bracelets! So whilst I’d dreamt of dancing all night in the various salsa clubs or discovering tucked away bars where someone would be playing the Spanish guitar, the reality was that we typically caught the last metro home around midnight. That’s not to say that we didn’t have a fabulous time, in fact sometimes the most enjoyable part of the night was getting ready in our hotel room, dancing along to Beckie’s eclectic music collection and sipping on ‘Don Simon’, the two- euro boxed sangria we bought nightly from the local ‘supermerkat‘. Anyway, that first night, we got off the metro at ‘Marina’ only to realise that despite the name, we were in fact nowhere near the marina! Combining the numerous snippets of language I’ve picked up along the way, I began to ask every passer by ‘Donde esta la plage?’, to which no one could reply. Not surprising when I discovered that ‘la plage’ is French, ‘La playa’ is it’s Spanish equivalent. Ah well, we found it eventually and I don’t know if it was because we were so hungry from all the walking but when we finally settled in our ocean view seats at El Chiringuito the paella was the most delicious I have ever tasted. Accompanied by a jug of Cava Sangria, we went to bed happy & satisfied that night. By 5pm, we were exhausted from our lazy afternoon of lounging in the sun and headed back to the hotel to nap by the pool and sip on some more Don Simon before getting ready to head out once more. After dinner the night before, we’d taken a stroll along the beach front and discovered a dozen restaurants lining the pier near Port Olimpic and had decided to try one of them the next evening. 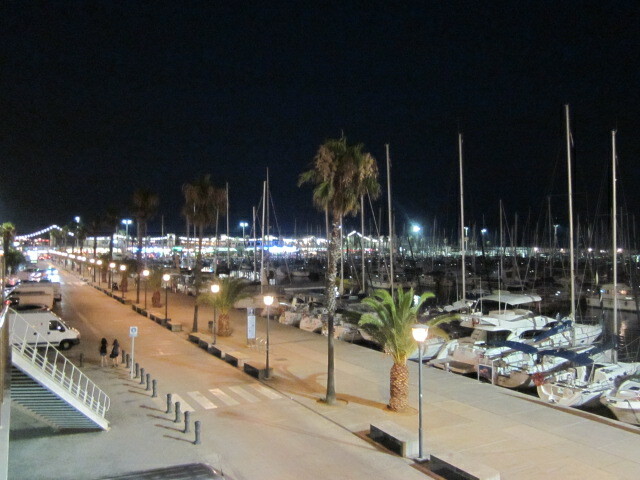 So, that night, we ambled along the twinkly lit pier, settling on La Fitora, which was offering a three-course meal for just 14 euros. It wasn’t exactly fine dining but we enjoyed it none the less and had a relaxing evening chatting away about life & love until we realised it was ten to midnight and had to make a dash to the metro, arriving just in time to miss the last train and had to grab a taxi instead! 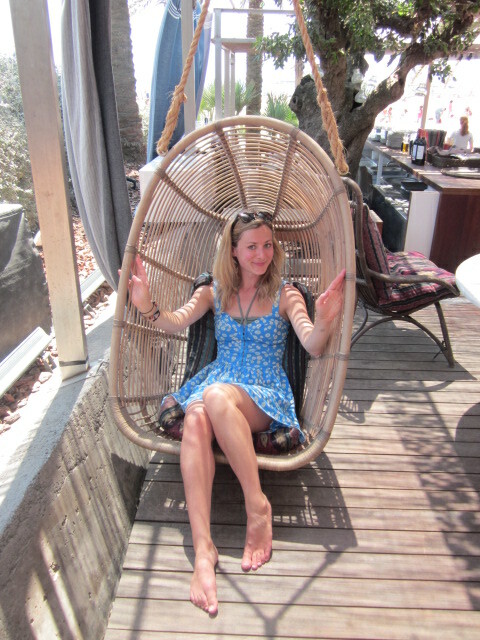 Our penultimate day was spent topping up our tans on Icaria beach and refreshing ourselves at Bestial, a trendy beach-side bar complete with comfy swing chairs and attractive clientèle. After cooling down in Bestial, we headed back on the metro to ‘Urquinoa’, taking a further 10 minute walk back to La Boqueria for another late lunch. 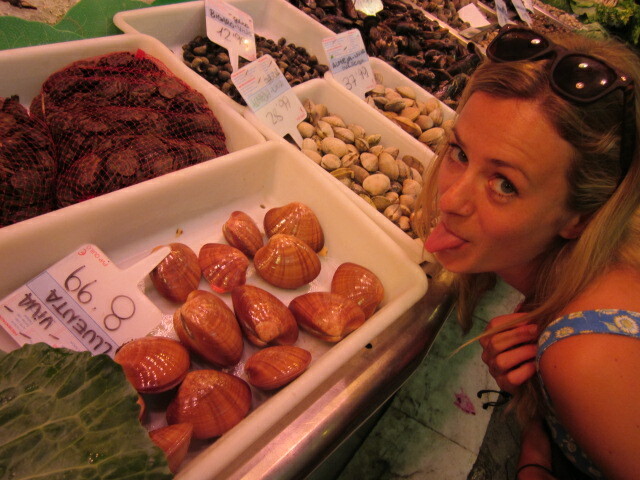 The fun of the food market is that everything is so cheap, so you can have a little taste of whatever you like without spending more than six euros. Once again it was time to head back to the hotel to dress up for our final night in this wonderful city. We’d decided during the day to ‘treat’ ourselves to a more upmarket restaurant that night and so headed back to the trendy bar-restaurants alongside Icaria beach where we’d sunbathed during day. Dinner at Opium was as delicious as expected but we’d forgot to top up our purses before leaving the hotel and so worrying about whether we could afford to pay the bill took the pleasure away a little! Barcelona is one of those cities where you can visit countless times and still come across new places to eat, drink or just relax. Still on our last day, although we’d barely done a spot of sight-seeing, we decided to mix up our routine ever-so-slightly by heading to…another beach (this was meant to be a relaxing break after all). This time we got off the metro at Barceloneta, walking past the restaurant-filled boulevard until we reached Barceloneta beach. But, it wasn’t long before my stomach was telling me it was time for lunch and after the success of yesterday’s trip to La Boqueria, we decided to head back for more of the same. Sadly it was then time to head back to the hotel to collect our luggage and make our way back to the airport. My only complaint about Barcelona? The fact that we had to leave! Keep an eye on your purse! The tour buses are a great way to see the major sights all in one day so that you can spend the rest of your time discovering your own hidden treasures. 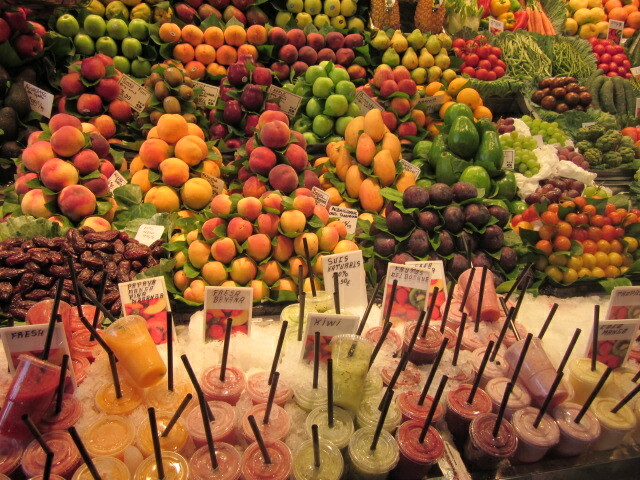 La Boqueria is the ultimate place for cheap (yet delicious) eats. Cava Sangria is the one. For mouth-wateringly good paella, try Chiringuito’s. 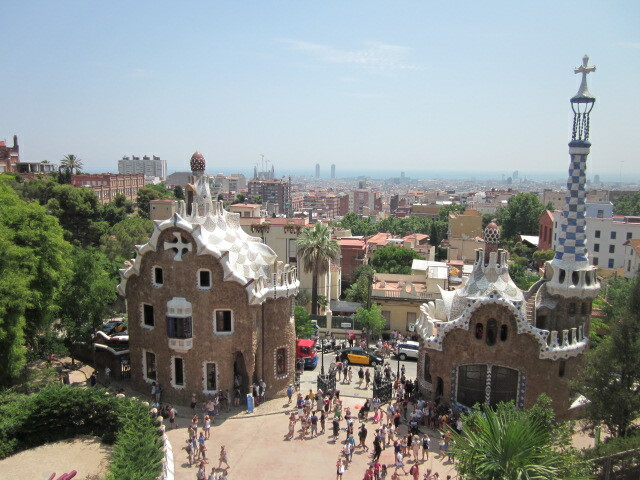 For more tips on Barcelona, check out my first blog post on the city. Next up I head on an all-together different trip as I travel to West Africa to volunteer in a school!